The Texas Turnpike Corporation of Dallas wants to build a private toll road in an area northeast of Dallas. If built, the road would be the only private toll road in the state and one of the only such facilities in the country. In an area northeast of Dallas, a company hopes to build a road unlike any other in Texas. The Texas Turnpike Corporation has proposed a toll road connecting Greenville and Wylie. The Dallas-based firm hopes to buy the land and build and operate the toll road itself. It would be the only entirely private toll road in the state and one of the only such highways in the country. Local transportation officials are keeping an open mind. 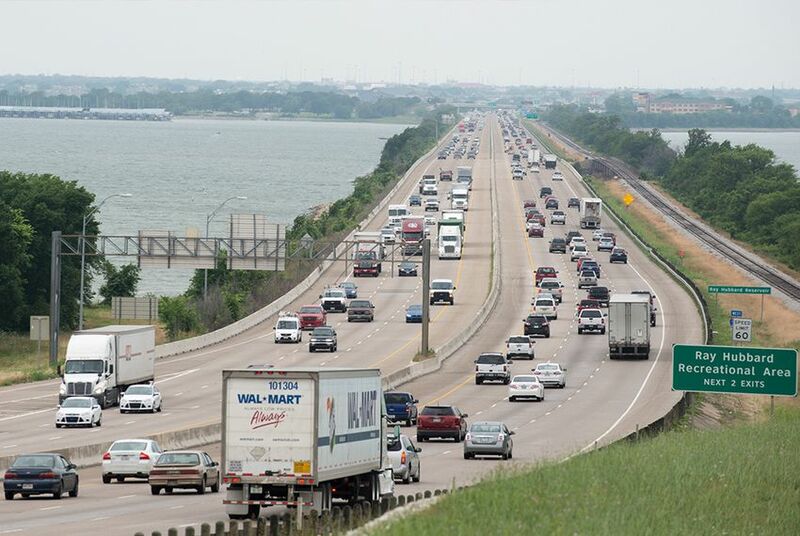 "This would be a private-sector company that would 100 percent finance the project," said Tom Shelton, a senior program manager with the North Central Texas Council of Governments, which coordinates the region’s transportation planning. "As a result, they would take 100 percent of the risk, and they would take 100 percent of the benefits." The council is studying the toll road proposal as part of its review of transportation options for the Blacklands Corridor, which includes parts of Dallas, Collin, Rockwall and Hunt counties. Thousands of residents from the Greenville area regularly drive the 50 miles to Dallas along Interstate 30. With the corridor’s population projected to grow significantly over the next 20 years, local officials are hoping to expand the transportation options before congestion worsens. Building a highway would probably be among the recommendations issued later this year, Shelton said, and the Texas Turnpike Corporation’s proposal is drawing interest. Any road, however, is years away. A private road would have to be approved by the Texas Department of Transportation and comply with regional regulations, including how to set tolls, Shelton said. In addition, the corporation would need to acquire the land. Another possible obstacle to the company's plans is the the North Texas Tollway Authority which, under state law, has the right of first refusal on any toll project in the region. The authority has not waived that privilege for the Blacklands Corridor, spokesman Michael Rey said. The possible route of a Blacklands toll road has already drawn some opposition from rural residents. However, Neal Barker, an infrastructure project developer who serves on the corporation’s board of directors, said that if allowed to move forward, the company would work to avoid displacing residents and use eminent domain only as a last resort. Requests for comment from those behind a website opposed to the project were not returned. In the early part of the last century, private toll roads were more common in Texas. Since then, every private toll road has either closed or was acquired by the state or another public entity. In 1991, state lawmakers repealed a law that allowed for the creation of private toll road corporations and that gave them the power of eminent domain. The Texas Turnpike Corporation, however, started one day before the repeal of the law was enacted, said Bob Kaufman, a spokesman for the Texas Department of Transportation. Since then, Barker said, the company has been looking for a Texas road project in which a market opportunity exists but public entities are ill-equipped to address on their own. Over the past decade, as state and federal transportation funding has fallen short, communities across Texas have increasingly turned to tolling to fund highway projects. The state is now home to more than 20 toll facilities, with another dozen or so in development. Texas has long encouraged public-private partnerships in transportation projects, most notably the southern leg of State Highway 130 from Austin to Seguin, which opened in 2012. A private consortium designed and built the road and agreed to operate and maintain it for 50 years in exchange for a cut of the toll revenue. The consortium, however, does not own the land. Neil Gray, director of government affairs for the International Bridge, Tunnel and Turnpike Association, could only think of one other entirely private toll road in the country: the Dulles Greenway in Virginia, which opened in 1995. Disclosure: The Texas Turnpike Corporation was a corporate sponsor of The Texas Tribune in 2013. A complete list of Texas Tribune donors and sponsors can be viewed here.